Massachusetts has been at the forefront of the nation in many areas, one particularly important example is our state’s library system. 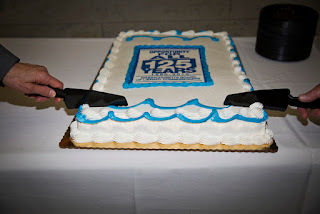 Chapter 347 of the Acts of 1890 established the Free Public Library Commission, the first of its kind in America. The Board of Library Commissioners held a State House event recently to celebrate the many accomplishments of contributors from across the state in this the 125 year of the commission. 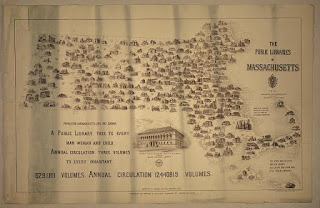 The Massachusetts library community developed quickly with 36 new libraries having been established after only one year of the 1890 law. Each of the New England states, having witnessed the success of our system, followed our lead and also created library commissions. Quickly the idea spread not only across the nation it leaped the Atlantic and sparked a new movement of public access to books and knowledge across the European continent. Today, citizens of Massachusetts continue to take great pride in their libraries and embrace the notion that more than books, libraries are about people. More people visit their local library each year than attend entire seasons of the Celtics, Patriots, Bruins, and Red Sox games combined. And what they find are helpful library staff, books, periodicals, eBooks and computers in each and every library in the state. In fact, more than 44 million items are available at the click of a mouse. Libraries are available in our schools, home towns, and in our state colleges and universities, they are world-class and leading the way.